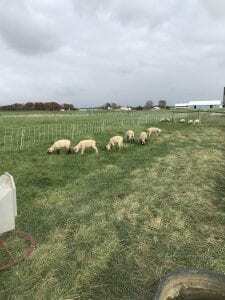 When to Start Grazing: Don’t Rush It! One goal I have had with livestock grazing over the years is to start as soon as I can. I put spring calving cows on stockpiled grass in early March to calve with the hope of not having to feed any more hay. Many years this works but not this year, grass is just starting to grow. The stockpile is about gone and I have started feeding them some more hay but hope to move the group with the fall calving cows this weekend. 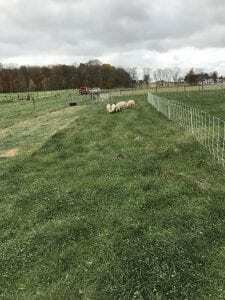 I then plan on starting a fast rotation around many of the paddocks and hay fields which is actually later than many years. As cold weather approaches this week, livestock owners need to keep in mind the few forage species that can be extremely toxic soon after a frost. 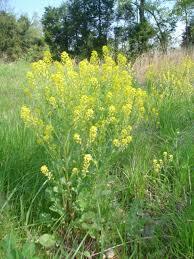 Several species contain compounds called cyanogenic glucosides that are converted quickly to prussic acid (i.e. hydrogen cyanide) in freeze-damaged plant tissues. 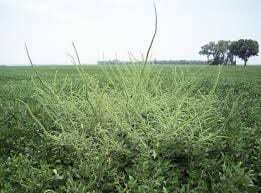 A few legumes species have an increased risk of causing bloat when grazed after a frost. Each of these risks is discussed in this article along with precautions to avoid them. It is always a good idea to check areas where wild cherry trees grow after a storm and pick up and discard any fallen limbs to prevent animals from grazing on the leaves and twigs. Fertility can affect poisoning risk. Plants growing under high nitrogen levels or in soils deficient in phosphorus or potassium will be more likely to have high prussic acid poisoning potential. Fresh forage is more risky. After frost damage, cyanide levels will likely be higher in fresh forage as compared with silage or hay. This is because cyanide is a gas and dissipates as the forage is wilted and dried for making silage or dry hay. Plant age affects toxicity. Young, rapidly growing plants of species that contain cyanogenic glucosides will have the highest levels of prussic acid. After a frost, cyanide is more concentrated in young leaves and tillers than in older leaves or stems. New growth of sorghum species following a non-killing frost is dangerously high in cyanide. Pure stands of indiangrass can have lethal levels of cyanide if they are grazed when the plants are less than 8 inches tall. Animals can die within minutes if they consume forage with high concentrations of prussic acid. Prussic acid interferes with oxygen transfer in the blood stream of the animal, causing it to die of asphyxiation. Before death, symptoms include excess salivation, difficult breathing, staggering, convulsions, and collapse. Ruminants are more susceptible to prussic acid poisoning than horses or swine because cud chewing and rumen bacteria help release the cyanide from plant tissue. Do not graze on nights when frost is likely. High levels of toxic compounds are produced within hours after a frost, even if it was a light frost. Do not graze after a killing frost until plants are dry, which usually takes 5 to 7 days. New growth may appear at the base of the plant after a non-killing frost. If this occurs, wait for a killing freeze, then wait another 10 to 14 days before grazing the new growth. Don’t allow hungry or stressed animals to graze young growth of species with prussic acid potential. To reduce the risk, feed ground cereal grains to animals before turning them out to graze. Use heavy stocking rates (4-6 head of cattle/acre) and rotational grazing to reduce the risk of animals selectively grazing leaves that can contain high levels of prussic acid. Never graze immature growth or short regrowth following a harvest or grazing (at any time of the year). Graze or greenchop sudangrass only after it is 15 to 18 inches tall. 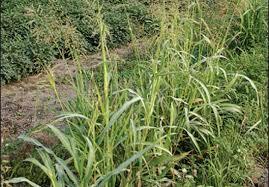 Sorghum-sudangrass should be 24 to 30 inches tall before grazing. Do not graze wilted plants or plants with young tillers. 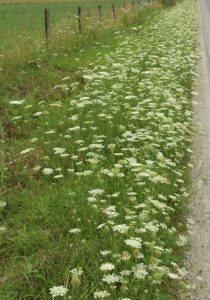 Green-chopping frost-damaged plants will lower the risk compared with grazing directly, because animals are less likely to selectively graze damaged tissue. Stems in the forage dilute the high prussic acid content that can occur in leaves. However, the forage can still be toxic, so feed greenchop with great caution after a frost. Always feed greenchopped forage of species containing cyanogenic glucosides within a few hours, and don’t leave greenchopped forage in wagons or feedbunks overnight. Prussic acid content in the plant decreases dramatically during the hay drying process and the forage should be safe once baled as dry hay. The forage can be mowed anytime after a frost if you are making hay. It is rare for dry hay to contain toxic levels of prussic acid. However, if the hay was not properly cured and dried before baling, it should be tested for prussic acid content before feeding to livestock. Forage with prussic acid potential that is stored as silage is generally safe to feed. To be extra cautious, wait 5 to 7 days after a frost before chopping for silage. If the plants appear to be drying down quickly after a killing frost, it is safe to ensile sooner. Delay feeding silage for 8 weeks after ensiling. If the forage likely contained high levels of cyanide at the time of chopping, hazardous levels of cyanide might remain and the silage should be analyzed before feeding. Freezing damage also slows down metabolism in all plants that might result in nitrate accumulation in plants that are still growing, especially grasses like oats and other small grains, millet, and sudangrass. This build-up usually isn’t hazardous to grazing animals, but green chop or hay cut right after a freeze can be more dangerous. When in doubt, send a forage sample to a forage testing lab for nitrate testing before grazing or feeding it. Forage legumes such as alfalfa and clovers have an increased risk of bloat when grazed one or two days after a hard frost. The bloat risk is highest when grazing pure legume stands and least when grazing stands having mostly grass. The safest management is to wait a few days after a killing frost before grazing pure legume stands – wait until the forage begins to dry from the frost damage. It is also a good idea to make sure animals have some dry hay before being introduced to lush fall pastures that contain significant amounts of legumes. You can also swath your legume-rich pasture ahead of grazing and let animals graze dry hay in the swath. Bloat protectants like poloxalene can be fed as blocks or mixed with grain. While this an expensive supplement, it does work well when animals eat a uniform amount each day. Minnesota specialists report that fall pasture, especially frost damaged pasture, can have high concentrations of nonstructural carbohydrates, like sugars. This can lead to various health problems for horses, such as founder and colic. They recommend pulling horses off of pasture for about one week following the first killing frost. High concentrations of nonstructural carbohydrates are most likely in leafy regrowth of cool-season grasses such as brome, timothy, and bluegrass but native warm-season grasses also may occasionally have similar risks. Another unexpected risk can come from dead maple leaves that fall or are blown into horse pastures. Red blood cells can be damaged in horses that eat 1.5 to 3 pounds of dried maple leaves per one thousand pounds of bodyweight. This problem apparently does not occur with fresh green leaves or with any other animal type. Fortunately, the toxicity does not appear to remain in the leaves the following spring. The older I get, the more I tend to philosophize about things. I’ve been asked a few times why I am such an advocate for sound grazing practices. 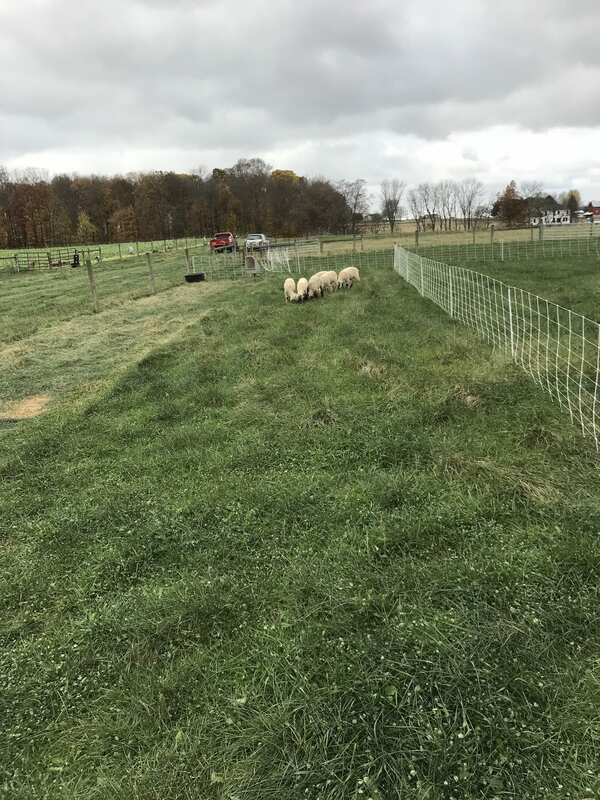 Best management grazing practices, just like conservation practices for reducing or preventing soil erosion on cropland, help preserve and or regenerate resources not only for present generation, but also for future generations. 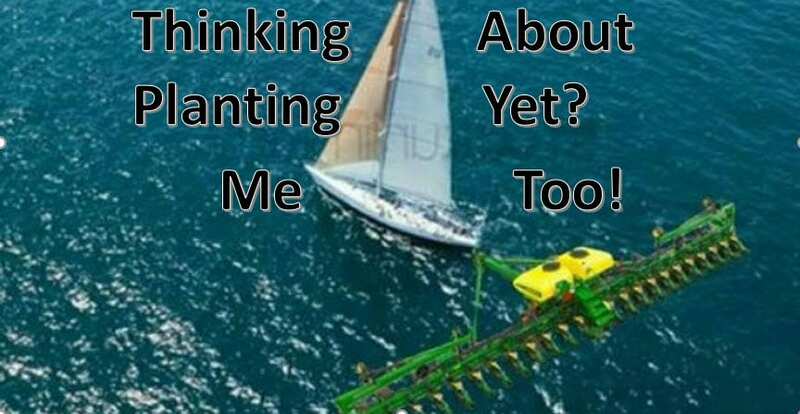 It’s very tempting to use those forages that green up late in the fall. Management decisions made this fall will greatly impact forage growth next year. Habitat: Crop fields, pastures, and roadsides. 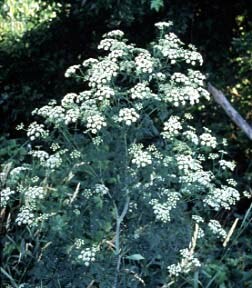 Growth habit: Erect up to 6 ft. high. Leaves: Prominent white veins on the undersurface unlike redroot pigweed, not pubescent, alternate, without hairs (glabrous), and lance or egg-shaped. Leaves are 2 to 8 inches long and 1/2 to 2 1/2 inches wide with prominent white veins on the undersurface. Leaves occur on relatively long petioles. Flower: Small, green, inconspicuous flowers are produced in dense, compact, terminal panicles that are from 1/2 to 1 1/2 feet long. Smaller lateral flowers also occur between the stem and the leaf petioles (leaf axils). Male and female flowers occur on separate plants. Each terminal panicle contains many densely packed branched spikes that have bracts that are 3 to 6 mm long; can produce 500 thousand to 1 million seeds per plant. Stem: One central stem occurs from which several lateral branches arise. Similar Plants: Loosely resembles many other pigweed species. Palmer’s petioles are as long or longer than the actual leaf. This plant is hairless and has elongated seed heads. Leaves are typically more diamond shaped than other pigweed species, and occasionally has one hair at the tip of the leaf. 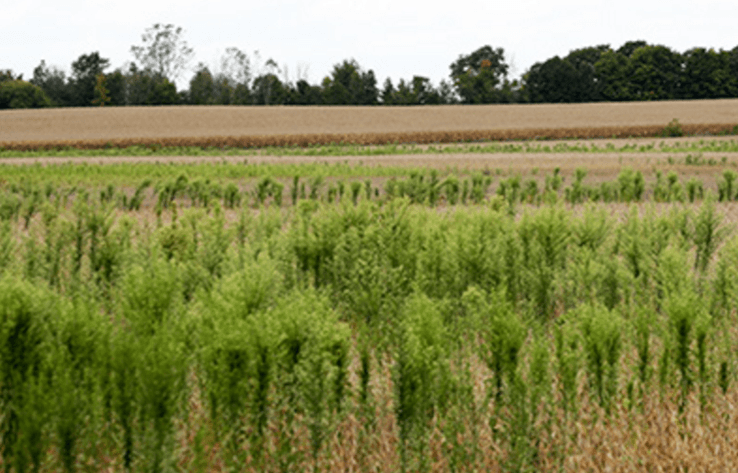 The Problem is……..Palmer amaranth is one of the most difficult weeds to control in agricultural crops. It developed a major glyphosate resistance problem in the southern US from 2006-2010, and has been spreading in the midwestern US since, causing crop loss and increases in weed management costs. 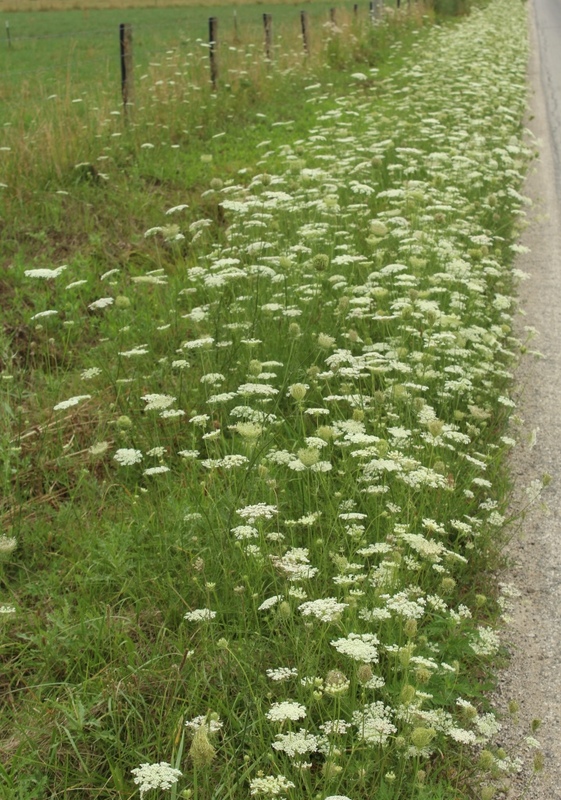 Characteristics that make it a successful annual weed include: rapid growth rate; wide window of emergence (early May through late summer); prolific seed production (upwards of 500,000 seeds/plant); tendency to develop herbicide resistance; and tolerance to many post-emergence herbicides when more than 3 inches tall. Habitat: Thin turf, agronomic crops, pastures, orchards, fallow fields, waste areas, and roadsides. Life cycle: Summer or winter annual. Growth habit: Seedlings develop a basal rosette and mature plants erect are reaching 6 1/2 ft in height. Leaves: The mature plant has leaves that are entirely without petioles (sessile). Leaves are 4 inches long, 10 mm wide, alternate, linear, entire or more often toothed, crowded along the stem, and hairy. Leaves become progressively smaller up the stem. Stem: Erect, solid, hairy, reaching 6 1/2 ft in height.